M.Shadows recently talked with ARTISTdirect about Disturbed, you can read an excerpt below. What can you say about Disturbed? 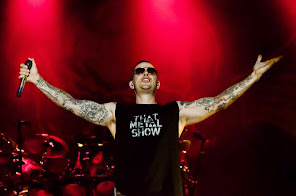 M. Shadows: They’re just a great metal band. They’ve become really good friends over the years, and I had the pleasure of singing on a Device song with David. They’re waving the flag for sure and helping keep this alive.